In this article we present an online estimator for multirobot cooperative localization and target tracking based on nonlinear least squares minimization. Our method not only makes the rigorous optimization-based approach applicable online but also allows the estimator to be stable and convergent. We do so by employing a moving horizon technique to nonlinear least squares minimization and a novel design of the arrival cost function that ensures stability and convergence of the estimator. 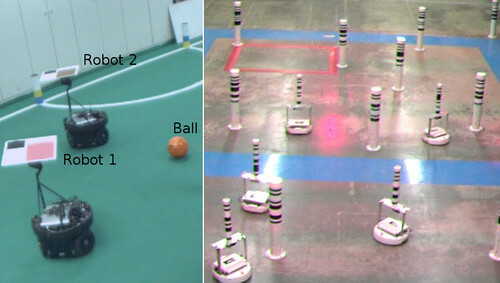 Through an extensive set of real robot experiments, we demonstrate the robustness of our method as well as the optimality of the arrival cost function. The experiments include comparisons of our method with i) an extended Kalman filter-based online-estimator and ii) an offline-estimator based on full-trajectory nonlinear least squares. Yeo, S. Y., Romero, J., Loper, M., Machann, J., Black, M.
Tang, S., Andres, B., Andriluka, M., Schiele, B. Although commercial and open-source software exist to reconstruct a static object from a sequence recorded with an RGB-D sensor, there is a lack of tools that build rigged models of articulated objects that deform realistically and can be used for tracking or animation. In this work, we fill this gap and propose a method that creates a fully rigged model of an articulated object from depth data of a single sensor. To this end, we combine deformable mesh tracking, motion segmentation based on spectral clustering and skeletonization based on mean curvature flow. The fully rigged model then consists of a watertight mesh, embedded skeleton, and skinning weights. Keuper, M., Tang, S., Yu, Z., Andres, B., Brox, T., Schiele, B.
Brubaker, M. A., Geiger, A., Urtasun, R.
Accurate and efficient self-localization is a critical problem for autonomous systems. This paper describes an affordable solution to vehicle self-localization which uses odometry computed from two video cameras and road maps as the sole inputs. The core of the method is a probabilistic model for which an efficient approximate inference algorithm is derived. The inference algorithm is able to utilize distributed computation in order to meet the real-time requirements of autonomous systems in some instances. Because of the probabilistic nature of the model the method is capable of coping with various sources of uncertainty including noise in the visual odometry and inherent ambiguities in the map (e.g., in a Manhattan world). By exploiting freely available, community developed maps and visual odometry measurements, the proposed method is able to localize a vehicle to 4m on average after 52 seconds of driving on maps which contain more than 2,150km of drivable roads. Feix, T., Romero, J., Schmiedmayer, H., Dollar, A., Kragic, D.
Zhou, C., Güney, F., Wang, Y., Geiger, A. Despite recent progress, reconstructing outdoor scenes in 3D from movable platforms remains a highly difficult endeavor. Challenges include low frame rates, occlusions, large distortions and difficult lighting conditions. In this paper, we leverage the fact that the larger the reconstructed area, the more likely objects of similar type and shape will occur in the scene. This is particularly true for outdoor scenes where buildings and vehicles often suffer from missing texture or reflections, but share similarity in 3D shape. We take advantage of this shape similarity by locating objects using detectors and jointly reconstructing them while learning a volumetric model of their shape. This allows us to reduce noise while completing missing surfaces as objects of similar shape benefit from all observations for the respective category. We evaluate our approach with respect to LIDAR ground truth on a novel challenging suburban dataset and show its advantages over the state-of-the-art. Lenz, P., Geiger, A., Urtasun, R.
One of the most popular approaches to multi-target tracking is tracking-by-detection. Current min-cost flow algorithms which solve the data association problem optimally have three main drawbacks: they are computationally expensive, they assume that the whole video is given as a batch, and they scale badly in memory and computation with the length of the video sequence. In this paper, we address each of these issues, resulting in a computationally and memory-bounded solution. First, we introduce a dynamic version of the successive shortest-path algorithm which solves the data association problem optimally while reusing computation, resulting in faster inference than standard solvers. Second, we address the optimal solution to the data association problem when dealing with an incoming stream of data (i.e., online setting). Finally, we present our main contribution which is an approximate online solution with bounded memory and computation which is capable of handling videos of arbitrary length while performing tracking in real time. We demonstrate the effectiveness of our algorithms on the KITTI and PETS2009 benchmarks and show state-of-the-art performance, while being significantly faster than existing solvers. Hauberg, S., Feragen, A., Enficiaud, R., Black, M.
In large datasets, manual data verification is impossible, and we must expect the number of outliers to increase with data size. 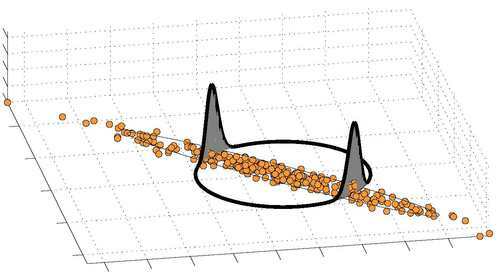 While principal component analysis (PCA) can reduce data size, and scalable solutions exist, it is well-known that outliers can arbitrarily corrupt the results. Unfortunately, state-of-the-art approaches for robust PCA are not scalable. We note that in a zero-mean dataset, each observation spans a one-dimensional subspace, giving a point on the Grassmann manifold. We show that the average subspace corresponds to the leading principal component for Gaussian data. We provide a simple algorithm for computing this Grassmann Average (GA), and show that the subspace estimate is less sensitive to outliers than PCA for general distributions. Because averages can be efficiently computed, we immediately gain scalability. We exploit robust averaging to formulate the Robust Grassmann Average (RGA) as a form of robust PCA. The resulting Trimmed Grassmann Average (TGA) is appropriate for computer vision because it is robust to pixel outliers. The algorithm has linear computational complexity and minimal memory requirements. We demonstrate TGA for background modeling, video restoration, and shadow removal. 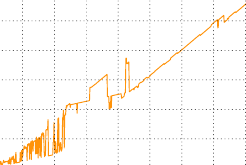 We show scalability by performing robust PCA on the entire Star Wars IV movie; a task beyond any current method. Source code is available online. Kong, N., Black, M. J. We formulate the estimation of dense depth maps from video sequences as a problem of intrinsic image estimation. Our approach synergistically integrates the estimation of multiple intrinsic images including depth, albedo, shading, optical flow, and surface contours. We build upon an example-based framework for depth estimation that uses label transfer from a database of RGB and depth pairs. We combine this with a method that extracts consistent albedo and shading from video. In contrast to raw RGB values, albedo and shading provide a richer, more physical, foundation for depth transfer. Additionally we train a new contour detector to predict surface boundaries from albedo, shading, and pixel values and use this to improve the estimation of depth boundaries. We also integrate sparse structure from motion with our method to improve the metric accuracy of the estimated depth maps. We evaluate our Intrinsic Depth method quantitatively by estimating depth from videos in the NYU RGB-D and SUN3D datasets. We find that combining the estimation of multiple intrinsic images improves depth estimation relative to the baseline method. Bogo, F., Black, M. J., Loper, M., Romero, J. 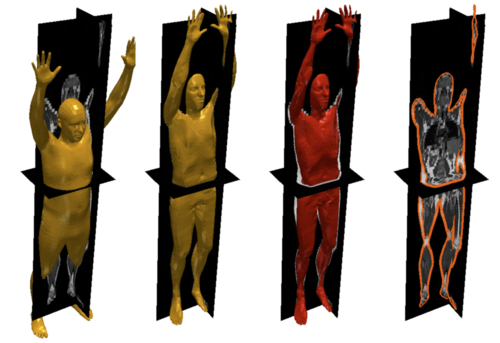 We accurately estimate the 3D geometry and appearance of the human body from a monocular RGB-D sequence of a user moving freely in front of the sensor. Range data in each frame is first brought into alignment with a multi-resolution 3D body model in a coarse-to-fine process. The method then uses geometry and image texture over time to obtain accurate shape, pose, and appearance information despite unconstrained motion, partial views, varying resolution, occlusion, and soft tissue deformation. Our novel body model has variable shape detail, allowing it to capture faces with a high-resolution deformable head model and body shape with lower-resolution. Finally we combine range data from an entire sequence to estimate a high-resolution displacement map that captures fine shape details. We compare our recovered models with high-resolution scans from a professional system and with avatars created by a commercial product. We extract accurate 3D avatars from challenging motion sequences and even capture soft tissue dynamics. Recent advances have enabled 3d object reconstruction approaches using a single off-the-shelf RGB-D camera. Although these approaches are successful for a wide range of object classes, they rely on stable and distinctive geometric or texture features. Many objects like mechanical parts, toys, household or decorative articles, however, are textureless and characterized by minimalistic shapes that are simple and symmetric. Existing in-hand scanning systems and 3d reconstruction techniques fail for such symmetric objects in the absence of highly distinctive features. In this work, we show that extracting 3d hand motion for in-hand scanning effectively facilitates the reconstruction of even featureless and highly symmetric objects and we present an approach that fuses the rich additional information of hands into a 3d reconstruction pipeline, significantly contributing to the state-of-the-art of in-hand scanning. Loper, M., Mahmood, N., Romero, J., Pons-Moll, G., Black, M. J. We present a learned model of human body shape and pose-dependent shape variation that is more accurate than previous models and is compatible with existing graphics pipelines. Our Skinned Multi-Person Linear model (SMPL) is a skinned vertex-based model that accurately represents a wide variety of body shapes in natural human poses. The parameters of the model are learned from data including the rest pose template, blend weights, pose-dependent blend shapes, identity-dependent blend shapes, and a regressor from vertices to joint locations. Unlike previous models, the pose-dependent blend shapes are a linear function of the elements of the pose rotation matrices. This simple formulation enables training the entire model from a relatively large number of aligned 3D meshes of different people in different poses. We quantitatively evaluate variants of SMPL using linear or dual-quaternion blend skinning and show that both are more accurate than a Blend-SCAPE model trained on the same data. We also extend SMPL to realistically model dynamic soft-tissue deformations. Because it is based on blend skinning, SMPL is compatible with existing rendering engines and we make it available for research purposes. 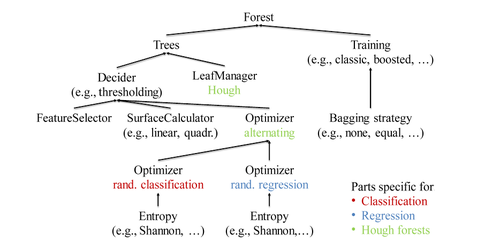 Since the introduction of Random Forests in the 80's they have been a frequently used statistical tool for a variety of machine learning tasks. Many different training algorithms and model adaptions demonstrate the versatility of the forests. This variety resulted in a fragmentation of research and code, since each adaption requires its own algorithms and representations. In 2011, Criminisi and Shotton developed a unifying Decision Forest model for many tasks. By identifying the reusable parts and specifying clear interfaces, we extend this approach to an object oriented representation and implementation. This has the great advantage that research on specific parts of the Decision Forest model can be done `locally' by reusing well-tested and high-performance components. Our fertilized forests library is open source and easy to extend. It provides components allowing for parallelization up to node optimization level to exploit modern many core architectures. Additionally, the library provides consistent and easy-to-maintain interfaces to C++, Python and Matlab and offers cross-platform and cross-interface persistence. Gall, J., Gehler, P., Leibe, B.
Ulusoy, A. O., Geiger, A., Black, M. J. This paper presents a novel probabilistic foundation for volumetric 3-d reconstruction. We formulate the problem as inference in a Markov random field, which accurately captures the dependencies between the occupancy and appearance of each voxel, given all input images. Our main contribution is an approximate highly parallelized discrete-continuous inference algorithm to compute the marginal distributions of each voxel's occupancy and appearance. In contrast to the MAP solution, marginals encode the underlying uncertainty and ambiguity in the reconstruction. Moreover, the proposed algorithm allows for a Bayes optimal prediction with respect to a natural reconstruction loss. We compare our method to two state-of-the-art volumetric reconstruction algorithms on three challenging aerial datasets with LIDAR ground truth. Our experiments demonstrate that the proposed algorithm compares favorably in terms of reconstruction accuracy and the ability to expose reconstruction uncertainty. Detecting small objects in images is a challenging problem particularly when they are often occluded by hands or other body parts. Recently, joint modelling of human pose and objects has been proposed to improve both pose estimation as well as object detection. These approaches, however, focus on explicit interaction with an object and lack the flexibility to combine both modalities when interaction is not obvious. 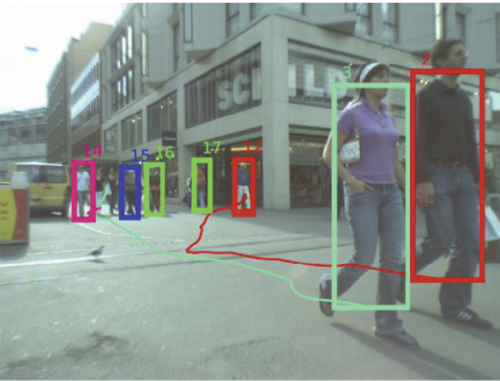 We therefore propose to use human pose as an additional context information for object detection. To this end, we represent an object category by a tree model and train regression forests that localize parts of an object for each modality separately. Predictions of the two modalities are then combined to detect the bounding box of the object. We evaluate our approach on three challenging datasets which vary in the amount of object interactions and the quality of automatically extracted human poses. Schiendorfer, A., Lassner, C., Anders, G., Reif, W., Lienhart, R.
Many large-scale systems benefit from an organizational structure to provide for problem decomposition. A pivotal problem solving setting is given by hierarchical control systems familiar from hierarchical task networks. If these structures can be modified autonomously by, e.g., coalition formation and reconfiguration, adequate decisions on higher levels require a faithful abstracted model of a collective of agents. An illustrative example is found in calculating schedules for a set of power plants organized in a hierarchy of Autonomous Virtual Power Plants. Functional dependencies over the combinatorial domain, such as the joint costs or rates of change of power production, are approximated by repeatedly sampling input-output pairs and substituting the actual functions by piecewise linear functions. However, if the sampled data points are weakly informative, the resulting abstracted high-level optimization introduces severe errors. Furthermore, obtaining additional point labels amounts to solving computationally hard optimization problems. Building on prior work, we propose to apply techniques from active learning to maximize the information gained by each additional point. Our results show that significantly better allocations in terms of cost-efficiency (up to 33.7 % reduction in costs in our case study) can be found with fewer but carefully selected sampling points using Decision Forests. Pons-Moll, G., Romero, J., Mahmood, N., Black, M. J. To look human, digital full-body avatars need to have soft tissue deformations like those of real people. We learn a model of soft-tissue deformations from examples using a high-resolution 4D capture system and a method that accurately registers a template mesh to sequences of 3D scans. Using over 40,000 scans of ten subjects, we learn how soft tissue motion causes mesh triangles to deform relative to a base 3D body model. Our Dyna model uses a low-dimensional linear subspace to approximate soft-tissue deformation and relates the subspace coefficients to the changing pose of the body. Dyna uses a second-order auto-regressive model that predicts soft-tissue deformations based on previous deformations, the velocity and acceleration of the body, and the angular velocities and accelerations of the limbs. Dyna also models how deformations vary with a person’s body mass index (BMI), producing different deformations for people with different shapes. Dyna realistically represents the dynamics of soft tissue for previously unseen subjects and motions. We provide tools for animators to modify the deformations and apply them to new stylized characters. Jampani, V., Nowozin, S., Loper, M., Gehler, P. V.
Computer vision is hard because of a large variability in lighting, shape, and texture; in addition the image signal is non-additive due to occlusion. Generative models promised to account for this variability by accurately modelling the image formation process as a function of latent variables with prior beliefs. Bayesian posterior inference could then, in principle, explain the observation. While intuitively appealing, generative models for computer vision have largely failed to deliver on that promise due to the difficulty of posterior inference. As a result the community has favored efficient discriminative approaches. We still believe in the usefulness of generative models in computer vision, but argue that we need to leverage existing discriminative or even heuristic computer vision methods. We implement this idea in a principled way in our informed sampler and in careful experiments demonstrate it on challenging models which contain renderer programs as their components. The informed sampler, using simple discriminative proposals based on existing computer vision technology achieves dramatic improvements in inference. Our approach enables a new richness in generative models that was out of reach with existing inference technology. Vargas-Irwin, C. E., Franquemont, L., Black, M. J., Donoghue, J. P.
Neural activity in ventral premotor cortex (PMv) has been associated with the process of matching perceived objects with the motor commands needed to grasp them. It remains unclear how PMv networks can flexibly link percepts of objects affording multiple grasp options into a final desired hand action. Here, we use a relational encoding approach to track the functional state of PMv neuronal ensembles in macaque monkeys through the process of passive viewing, grip planning, and grasping movement execution. We used objects affording multiple possible grip strategies. The task included separate instructed delay periods for object presentation and grip instruction. This approach allowed us to distinguish responses elicited by the visual presentation of the objects from those associated with selecting a given motor plan for grasping. 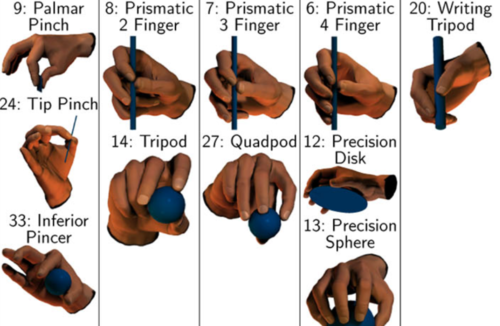 We show that PMv continuously incorporates information related to object shape and grip strategy as it becomes available, revealing a transition from a set of ensemble states initially most closely related to objects, to a new set of ensemble patterns reflecting unique object-grip combinations. These results suggest that PMv dynamically combines percepts, gradually navigating toward activity patterns associated with specific volitional actions, rather than directly mapping perceptual object properties onto categorical grip representations. Our results support the idea that PMv is part of a network that dynamically computes motor plans from perceptual information. Significance Statement: The present work demonstrates that the activity of groups of neurons in primate ventral premotor cortex reflects information related to visually presented objects, as well as the motor strategy used to grasp them, linking individual objects to multiple possible grips. PMv could provide useful control signals for neuroprosthetic assistive devices designed to interact with objects in a flexible way. Zuffi, S., Black, M. J. We propose a new 3D model of the human body that is both realistic and part-based. The body is represented by a graphical model in which nodes of the graph correspond to body parts that can independently translate and rotate in 3D as well as deform to capture pose-dependent shape variations. Pairwise potentials define a “stitching cost” for pulling the limbs apart, giving rise to the stitched puppet model (SPM). 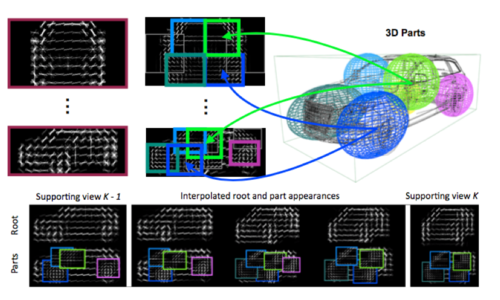 Unlike existing realistic 3D body models, the distributed representation facilitates inference by allowing the model to more effectively explore the space of poses, much like existing 2D pictorial structures models. We infer pose and body shape using a form of particle-based max-product belief propagation. This gives the SPM the realism of recent 3D body models with the computational advantages of part-based models. We apply the SPM to two challenging problems involving estimating human shape and pose from 3D data. The first is the FAUST mesh alignment challenge (http://faust.is.tue.mpg.de/), where ours is the first method to successfully align all 3D meshes. The second involves estimating pose and shape from crude visual hull representations of complex body movements. Stereo techniques have witnessed tremendous progress over the last decades, yet some aspects of the problem still remain challenging today. Striking examples are reflecting and textureless surfaces which cannot easily be recovered using traditional local regularizers. In this paper, we therefore propose to regularize over larger distances using object-category specific disparity proposals (displets) which we sample using inverse graphics techniques based on a sparse disparity estimate and a semantic segmentation of the image. The proposed displets encode the fact that objects of certain categories are not arbitrarily shaped but typically exhibit regular structures. We integrate them as non-local regularizer for the challenging object class 'car' into a superpixel based CRF framework and demonstrate its benefits on the KITTI stereo evaluation. This paper proposes a novel model and dataset for 3D scene flow estimation with an application to autonomous driving. Taking advantage of the fact that outdoor scenes often decompose into a small number of independently moving objects, we represent each element in the scene by its rigid motion parameters and each superpixel by a 3D plane as well as an index to the corresponding object. This minimal representation increases robustness and leads to a discrete-continuous CRF where the data term decomposes into pairwise potentials between superpixels and objects. Moreover, our model intrinsically segments the scene into its constituting dynamic components. We demonstrate the performance of our model on existing benchmarks as well as a novel realistic dataset with scene flow ground truth. We obtain this dataset by annotating 400 dynamic scenes from the KITTI raw data collection using detailed 3D CAD models for all vehicles in motion. Our experiments also reveal novel challenges which can't be handled by existing methods. Akhter, I., Black, M. J.
Wulff, J., Black, M. J. 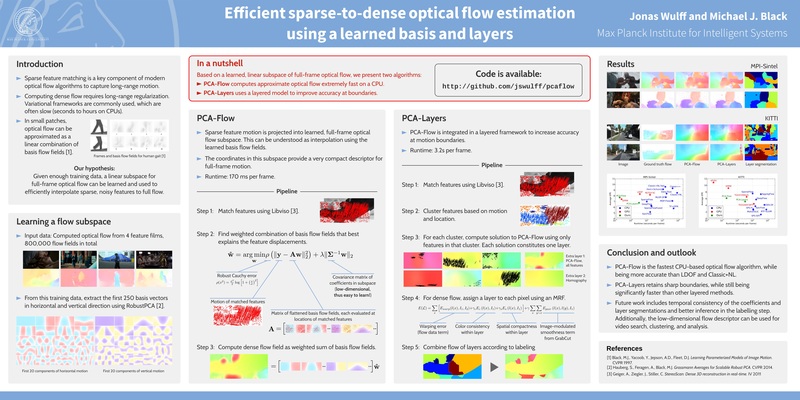 We address the elusive goal of estimating optical flow both accurately and efficiently by adopting a sparse-to-dense approach. Given a set of sparse matches, we regress to dense optical flow using a learned set of full-frame basis flow fields. We learn the principal components of natural flow fields using flow computed from four Hollywood movies. Optical flow fields are then compactly approximated as a weighted sum of the basis flow fields. 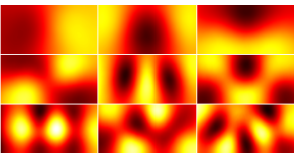 Our new PCA-Flow algorithm robustly estimates these weights from sparse feature matches. The method runs in under 300ms/frame on the MPI-Sintel dataset using a single CPU and is more accurate and significantly faster than popular methods such as LDOF and Classic+NL. The results, however, are too smooth for some applications. Consequently, we develop a novel sparse layered flow method in which each layer is represented by PCA-flow. Unlike existing layered methods, estimation is fast because it uses only sparse matches. We combine information from different layers into a dense flow field using an image-aware MRF. The resulting PCA-Layers method runs in 3.6s/frame, is significantly more accurate than PCA-flow and achieves state-of-the-art performance in occluded regions on MPI-Sintel. Kiefel, M., Jampani, V., Gehler, P. V.
This paper presents a convolutional layer that is able to process sparse input features. 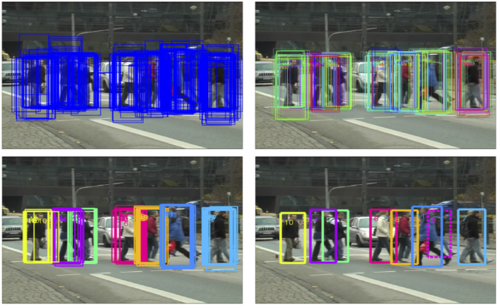 As an example, for image recognition problems this allows an efficient filtering of signals that do not lie on a dense grid (like pixel position), but of more general features (such as color values). The presented algorithm makes use of the permutohedral lattice data structure. 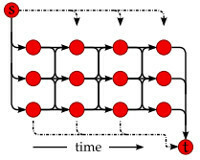 The permutohedral lattice was introduced to efficiently implement a bilateral filter, a commonly used image processing operation. Its use allows for a generalization of the convolution type found in current (spatial) convolutional network architectures. Jampani, V., Eslami, S. M. A., Tarlow, D., Kohli, P., Winn, J.
Generative models provide a powerful framework for probabilistic reasoning. However, in many domains their use has been hampered by the practical difficulties of inference. This is particularly the case in computer vision, where models of the imaging process tend to be large, loopy and layered. For this reason bottom-up conditional models have traditionally dominated in such domains. We find that widely-used, general-purpose message passing inference algorithms such as Expectation Propagation (EP) and Variational Message Passing (VMP) fail on the simplest of vision models. With these models in mind, we introduce a modification to message passing that learns to exploit their layered structure by passing 'consensus' messages that guide inference towards good solutions. Experiments on a variety of problems show that the proposed technique leads to significantly more accurate inference results, not only when compared to standard EP and VMP, but also when compared to competitive bottom-up conditional models. ned realistic models can be important for computer vision. More work at the intersection of vision and graphics is thus encouraged. Pepik, B., Stark, M., Gehler, P., Schiele, B. As objects are inherently 3-dimensional, they have been modeled in 3D in the early days of computer vision. Due to the ambiguities arising from mapping 2D features to 3D models, 3D object representations have been neglected and 2D feature-based models are the predominant paradigm in object detection nowadays. While such models have achieved outstanding bounding box detection performance, they come with limited expressiveness, as they are clearly limited in their capability of reasoning about 3D shape or viewpoints. In this work, we bring the worlds of 3D and 2D object representations closer, by building an object detector which leverages the expressive power of 3D object representations while at the same time can be robustly matched to image evidence. To that end, we gradually extend the successful deformable part model  to include viewpoint information and part-level 3D geometry information, resulting in several different models with different level of expressiveness. We end up with a 3D object model, consisting of multiple object parts represented in 3D and a continuous appearance model. We experimentally verify that our models, while providing richer object hypotheses than the 2D object models, provide consistently better joint object localization and viewpoint estimation than the state-of-the-art multi-view and 3D object detectors on various benchmarks (KITTI , 3D object classes , Pascal3D+ , Pascal VOC 2007 , EPFL multi-view cars ). New scanning technologies are increasing the importance of 3D mesh data, and of algorithms that can reliably register meshes obtained from multiple scans. Surface registration is important e.g. for building full 3D models from partial scans, identifying and tracking objects in a 3D scene, creating statistical shape models. 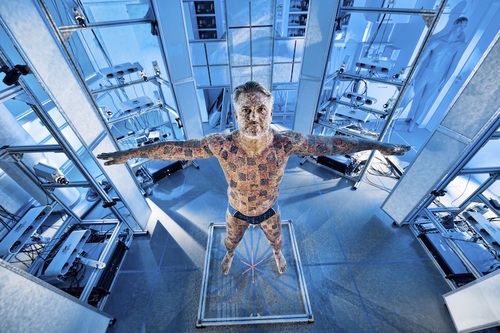 Human body registration is particularly important for many applications, ranging from biomedicine and robotics to the production of movies and video games; but obtaining accurate and reliable registrations is challenging, given the articulated, non-rigidly deformable structure of the human body. In this thesis, we tackle the problem of 3D human body registration. We start by analyzing the current state of the art, and find that: a) most registration techniques rely only on geometric information, which is ambiguous on flat surface areas; b) there is a lack of adequate datasets and benchmarks in the field. We address both issues. Our contribution is threefold. First, we present a model-based registration technique for human meshes that combines geometry and surface texture information to provide highly accurate mesh-to-mesh correspondences. Our approach estimates scene lighting and surface albedo, and uses the albedo to construct a high-resolution textured 3D body model that is brought into registration with multi-camera image data using a robust matching term. Second, by leveraging our technique, we present FAUST (Fine Alignment Using Scan Texture), a novel dataset collecting 300 high-resolution scans of 10 people in a wide range of poses. FAUST is the first dataset providing both real scans and automatically computed, reliable "ground-truth" correspondences between them. Third, we explore possible uses of our approach in dermatology. By combining our registration technique with a melanocytic lesion segmentation algorithm, we propose a system that automatically detects new or evolving lesions over almost the entire body surface, thus helping dermatologists identify potential melanomas. We conclude this thesis investigating the benefits of using texture information to establish frame-to-frame correspondences in dynamic monocular sequences captured with consumer depth cameras. We outline a novel approach to reconstruct realistic body shape and appearance models from dynamic human performances, and show preliminary results on challenging sequences captured with a Kinect. Organizational structures such as hierarchies provide an effective means to deal with the increasing complexity found in large-scale energy systems. In hierarchical systems, the concrete functions describing the subsystems can be replaced by abstract piecewise linear functions to speed up the optimization process. However, if the data points are weakly informative the resulting abstracted optimization problem introduces severe errors and exhibits bad runtime performance. Furthermore, obtaining additional point labels amounts to solving computationally hard optimization problems. Therefore, we propose to apply methods from active learning to search for informative inputs. We present first results experimenting with Decision Forests and Gaussian Processes that motivate further research. Using points selected by Decision Forests, we could reduce the average mean-squared error of the abstract piecewise linear function by one third. Finding correspondences between images underlies many computer vision problems, such as optical flow, tracking, stereovision and alignment. Finding these correspondences involves formulating a matching function and optimizing it. This optimization process is often gradient descent, which avoids exhaustive search, but relies on the assumption of being in the basin of attraction of the right local minimum. This is often the case when the displacement is small, and current methods obtain very accurate results for small motions. However, when the motion is large and the matching function is bumpy this assumption is less likely to be true. One traditional way of avoiding this abruptness is to smooth the matching function spatially by blurring the images. As the displacement becomes larger, the amount of blur required to smooth the matching function becomes also larger. This averaging of pixels leads to a loss of detail in the image. Therefore, there is a trade-off between the size of the objects that can be tracked and the displacement that can be captured. In this thesis we address the basic problem of increasing the size of the basin of attraction in a matching function. We use an image descriptor called distribution fields (DFs). By blurring the images in DF space instead of in pixel space, we in- crease the size of the basin attraction with respect to traditional methods. We show competitive results using DFs both in object tracking and optical flow. Finally we demonstrate an application of capturing large motions for temporal video stitching. Vargas-Irwin, C. E., Brandman, D. M., Zimmermann, J. B., Donoghue, J. P., Black, M. J. We present a method to evaluate the relative similarity of neural spiking patterns by combining spike train distance metrics with dimensionality reduction. Spike train distance metrics provide an estimate of similarity between activity patterns at multiple temporal resolutions. Vectors of pair-wise distances are used to represent the intrinsic relationships between multiple activity patterns at the level of single units or neuronal ensembles. Dimensionality reduction is then used to project the data into concise representations suitable for clustering analysis as well as exploratory visualization. Algorithm performance and robustness are evaluated using multielectrode ensemble activity data recorded in behaving primates. We demonstrate how Spike train SIMilarity Space (SSIMS) analysis captures the relationship between goal directions for an 8-directional reaching task and successfully segregates grasp types in a 3D grasping task in the absence of kinematic information. The algorithm enables exploration of virtually any type of neural spiking (time series) data, providing similarity-based clustering of neural activity states with minimal assumptions about potential information encoding models. Jampani, V., Gadde, R., Gehler, P. V.
The entropy measurement function is a central element of decision forest induction. The Shannon entropy and other generalized entropies such as the Renyi and Tsallis entropy are designed to fulfill the Khinchin-Shannon axioms. Whereas these axioms are appropriate for physical systems, they do not necessarily model well the artificial system of decision forest induction. In this paper, we show that when omitting two of the four axioms, every norm induces an entropy function. The remaining two axioms are sufficient to describe the requirements for an entropy function in the decision forest context. Furthermore, we introduce and analyze the p-norm-induced entropy, show relations to existing entropies and the relation to various heuristics that are commonly used for decision forest training. In experiments with classification, regression and the recently introduced Hough forests, we show how the discrete and differential form of the new entropy can be used for forest induction and how the functions can simply be fine-tuned. The experiments indicate that the impact of the entropy function is limited, however can be a simple and useful post-processing step for optimizing decision forests for high performance applications. Romero, J., Loper, M., Black, M. J. We estimate 2D human pose from video using only optical flow. The key insight is that dense optical flow can provide information about 2D body pose. Like range data, flow is largely invariant to appearance but unlike depth it can be directly computed from monocular video. We demonstrate that body parts can be detected from dense flow using the same random forest approach used by the Microsoft Kinect. Unlike range data, however, when people stop moving, there is no optical flow and they effectively disappear. To address this, our FlowCap method uses a Kalman filter to propagate body part positions and ve- locities over time and a regression method to predict 2D body pose from part centers. No range sensor is required and FlowCap estimates 2D human pose from monocular video sources containing human motion. Such sources include hand-held phone cameras and archival television video. We demonstrate 2D body pose estimation in a range of scenarios and show that the method works with real-time optical flow. The results suggest that optical flow shares invariances with range data that, when complemented with tracking, make it valuable for pose estimation. The work presented in this paper is motivated by the goal of dependable autonomous navigation of mobile robots. 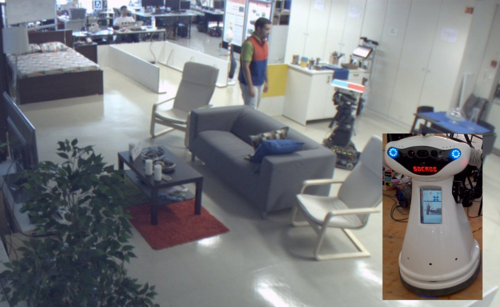 This goal is a fundamental requirement for having autonomous robots in spaces such as domestic spaces and public establishments, left unattended by technical staff. In this paper we tackle this problem by taking an optimization approach: on one hand, we use a Fast Marching Approach for path planning, resulting in optimal paths in the absence of unmapped obstacles, and on the other hand we use a Dynamic Window Approach for guidance. To the best of our knowledge, the combination of these two methods is novel. We evaluate the approach on a real mobile robot, capable of moving at high speed. The evaluation makes use of an external ground truth system. 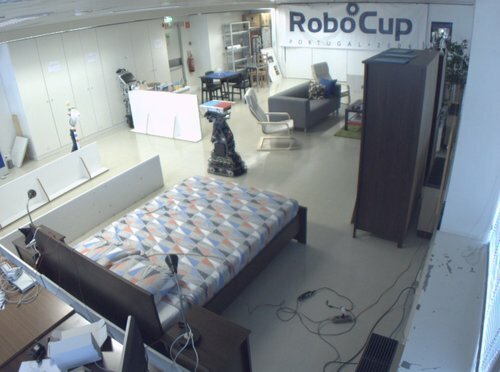 We report controlled experiments that we performed, including the presence of people moving randomly nearby the robot. In our long term experiments we report a total distance of 18 km traveled during 11 hours of movement time. Pons-Moll, G., Taylor, J., Shotton, J., Hertzmann, A., Fitzgibbon, A.
Inferring 3D objects and the layout of indoor scenes from a single RGB-D image captured with a Kinect camera is a challenging task. Towards this goal, we propose a high-order graphical model and jointly reason about the layout, objects and superpixels in the image. In contrast to existing holistic approaches, our model leverages detailed 3D geometry using inverse graphics and explicitly enforces occlusion and visibility constraints for respecting scene properties and projective geometry. We cast the task as MAP inference in a factor graph and solve it efficiently using message passing. We evaluate our method with respect to several baselines on the challenging NYUv2 indoor dataset using 21 object categories. 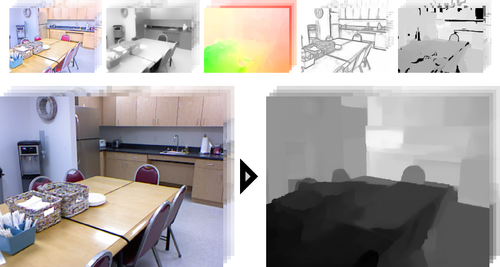 Our experiments demonstrate that the proposed method is able to infer scenes with a large degree of clutter and occlusions. Pepik, B., Stark, M., Gehler, P., Ritschel, T., Schiele, B.
Menze, M., Heipke, C., Geiger, A. We propose to look at large-displacement optical flow from a discrete point of view. Motivated by the observation that sub-pixel accuracy is easily obtained given pixel-accurate optical flow, we conjecture that computing the integral part is the hardest piece of the problem. Consequently, we formulate optical flow estimation as a discrete inference problem in a conditional random field, followed by sub-pixel refinement. Naive discretization of the 2D flow space, however, is intractable due to the resulting size of the label set. In this paper, we therefore investigate three different strategies, each able to reduce computation and memory demands by several orders of magnitude. Their combination allows us to estimate large-displacement optical flow both accurately and efficiently and demonstrates the potential of discrete optimization for optical flow. We obtain state-of-the-art performance on MPI Sintel and KITTI. Three-dimensional reconstruction of dynamic scenes is an important prerequisite for applications like mobile robotics or autonomous driving. While much progress has been made in recent years, imaging conditions in natural outdoor environments are still very challenging for current reconstruction and recognition methods. In this paper, we propose a novel unified approach which reasons jointly about 3D scene flow as well as the pose, shape and motion of vehicles in the scene. Towards this goal, we incorporate a deformable CAD model into a slanted-plane conditional random field for scene flow estimation and enforce shape consistency between the rendered 3D models and the parameters of all superpixels in the image. The association of superpixels to objects is established by an index variable which implicitly enables model selection. We evaluate our approach on the challenging KITTI scene flow dataset in terms of object and scene flow estimation. Our results provide a prove of concept and demonstrate the usefulness of our method.